Nollywood star Rita Dominic has been very busy on the career front as of recent. She is ending the year 2013 with 12 combined award nominations in four different categories. The Nollywood beauty queen who just returned to Nigeria from New York, where she went for vacation and to receive the Best Lead Actress award from the Nigeria Entertainment Award, NEA, has also picked the Best Actress award at the recently concluded Nigeria Movie Awards, NMA, that held at the Intercontinental Hotel in Victoria Island, Lagos last weekend. The popular award was sponsored by UK-based Channel 329. Following Nigeria Movie Award is ELOY Award where Rita has two nominations in categories of Best Actress and Best Producer. Exquisite Magazine is the promoter of the award which is billed to take place later in the year. ELOY stands for Exquisite Lady of the Year. For her role in Desmond Elliot’s Finding Mercy, Rita also got two awards in Best Supporting Actress category and the unusual category of Best Kiss in the Best of Nollywood, BON awards. Ending a busy year for Rita Dominic will be Golden Icons Academy Movie Awards, GIAMA, which comes up on 19 October. Her role in Finding Mercy also earned her another nomination in the Best Actress category. “I am truly excited that all these organisations are recognising the hard work I have put in many of my works. 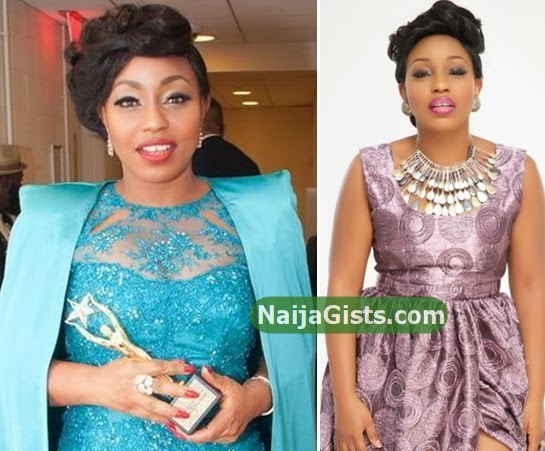 The two films: The Meeting and Finding Mercy are good films and I am proud to be nominated for them,” Rita Dominic said. Mummy i dey happy 4 ur gud works, pls wen r u invitin ur,s 2 ur weddin ma? congrats dear sis,im happy 4 u.Indeed hardwork pays,keep it up. Keep it going, you are my role model. I love you so much, and i would like to be your husband. God has endowed you with all; skills, looks, name it. May He give you also your own man to share your success story with. That’s all that’s remaining now. God bless you. Ooooooooh no you are the best I beg you in the name of God pls pls and pls don’t dress like rukky sanda. MY DEAR U WORTH IT OOOO KIP ON ACTING N MAY GOD BLESS U WIT A HUBBY..
rita i lyk ur movies must especially white water,keep it up. Rita my sister, i thank God Almighty for your life and for your achievement. It’s good to be good. Congrates dear Rita. HI NAME SAKE YOU REALY DOING WELL AND AM SO HAPPY TO HAVE YOU THERE. TAKIA SIS WISHING YOU THE BEST IN LIFE. YOU INDEED AN AFRICAN BEAUTY NKEM!